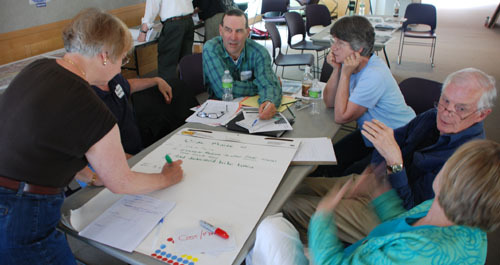 In creating a Placemaking Master Plan for Brunswick, PPS used a series of public outreach tools, including a Power of 10 Survey, Place Game Evaluation and small group discussions. 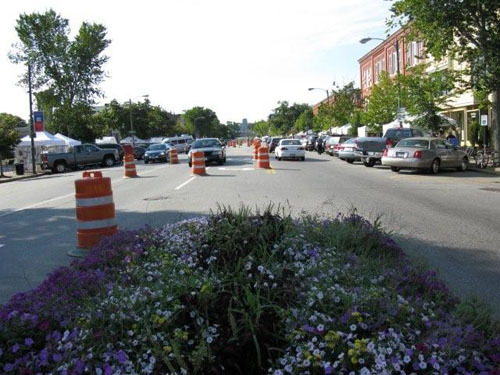 The new Downtown Master Plan for Brunswick, Maine, the culmination of a collaboration that began in May 2010, has just been released and is now open for public comment. As identified in the quotation above, this living document produced by PPS elevates the role of a Master Plan from mere principles and specifications to an interactive exercise in discussion, training, experimentation, evaluation and vision. A quintessential example of how PPS’s Place-Driven Process can generate an authentic community vision, this project began amongst local stakeholders who assessed the existing conditions and determined needs. The committee created a revitalization framework of Visual Quality, Pedestrian and Vehicular Movement, Neighborhoods and Marketing. PPS then joined the process by facilitating a series of community workshops that translated this revitalization framework into a series of short and long-term recommendations through the lens of our Place Diagram (Uses & Activities, Comfort & Image, Sociability, Access & Linkages). For PPS, the most compelling component of the project has been the sense of urgency for improvement that has resulted from the sense of ownership enabled by the Placemaking process. 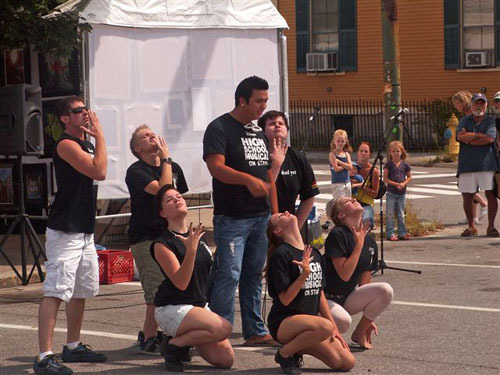 For example, at this year’s Brunswick Outdoor Arts Festival, the town experimented with lane narrowing on Maine Street by closing the outside lanes on each side of the street. By testing the community’s desire to reconfigure Maine Street (currently nearly 100’ curb to curb, four lanes with angled parking) through this lighter, quicker, cheaper approach, the visioning process was brought to fruition instantly, for very minimal expense. The reconfigured space also enabled an abundance of programs, activities and amenities in the expanded pedestrian area. Building on the success of the Arts Festival, a new Friday evening event called Brunswick After Hours has been created to extend the store hours, encourage sidewalk displays, bring in an additional vendors and do even more to animate the Maine Street. Congratulations to Brunswick for treating their streets as places - even in cold weather!